The 2018 Nissan Rogue Sport is the smaller of the two Rogue models, providing a compact wheelbase to those looking for the versatility of a crossover with all the appeal of the standard Rogue. It’s also a handsomely styled, spacious, and powerful option in this competitive segment. Drivers in Philadelphia, Lansdale, and Doylestown can learn more about the 2018 Nissan Rogue Sport with our in-depth model review. The Rogue Sport comes with a 141-horsepower, 2.0L inline 4-cylinder engine that pairs to a Continuously Variable Ttransmission. It’s also available in front-wheel or all-wheel drive, depending on the model. The transmission is tuned for efficiency, but that doesn’t keep it from extracting all the power from the engine to earn its “Sport” designation. Precise steering and sharp handling keep the Sport athletic and poised, regardless of what the road brings, and it glides over imperfections in the road surface with ease. The all-wheel drive also helps the Sport keep its traction and security on slippery, wet, or snow-covered roads. Like the standard Rogue, the Rogue Sport sticks with a clean design with minimal styling elements, though it does differentiate itself. There’s an attractive, V-shaped grille, swept headlights, and subtle shaping near the wheel arches that give it an interesting look, while the high-riding rear end provides balance and proportion to the profile. Inside, the Sport stays true to the original. The dash has a logical, straightforward layout that’s separated by an accent line, and the emphasis is placed on high-quality materials, rather than unnecessary details. It’s the perfect blend of functionality and aesthetics. The Rogue Sport is well-equipped at all trim levels. Standard features include a 5-inch infotainment display with Bluetooth® compatibility and a USB port, as well as a rearview camera for safety. Features like leather upholstery, a heated, leather-wrapped steering wheel, dual-zone climate control, heated mirrors, a cargo management system, and a 7-inch touchscreen infotainment system with Apple CarPlay™ and Android Auto™ smartphone integration and navigation are also available. Several advanced safety features can be added too, such as Forward Collision Warning, Lane Departure Warning, and Automatic Emergency Braking. The Nissan Rogue Sport infotainment system is a high-tech system that features streaming music capability, intuitive menu options, and responsive touchscreen icons for ease and convenience. Combined with premium audio, satellite radio, and a host of other third-party streaming apps, the Nissan infotainment system offers a quality entertainment experience for your daily drive. The Nissan telematics system can also be added to the list, which keeps you connected with real-time traffic, news, and weather, as well as emergency roadside assistance. 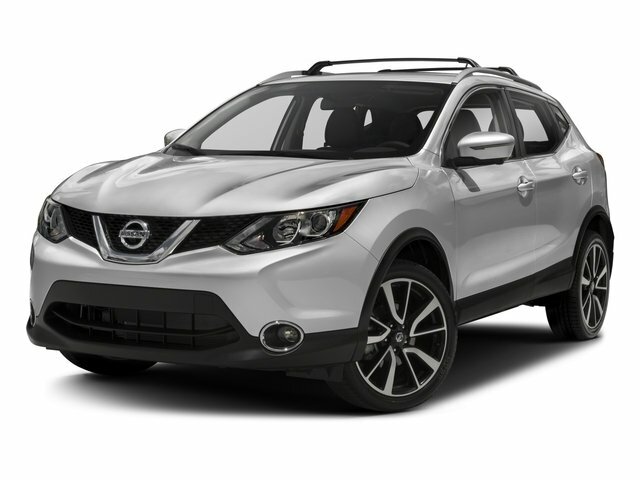 With its energetic performance, smooth handling, classic styling, and array of features, the 2018 Nissan Rogue Sport harnesses all the appeal of the Rogue in a compact crossover size. Drivers in Philadelphia, Lansdale, and Doylestown can find out more about the 2018 Nissan Rogue Sport firsthand by visiting Montgomeryville Nissan. Call or stop by our dealership today to schedule your test drive!